The second volume in the Tectonic Plates label compilation series by the Bristol-based Tectonic label. Following the spectacular run of 12"s released by Tectonic over the past year, Tectonic Plates volume 2 is a crowning 2CD collection -- the first disc comprises the entire imminent and as-yet unreleased four-part 12" vinyl Plates series in all its glory, the second CD is an exclusive mix from Rob Ellis aka Pinch, which brings together highlight cuts and unreleased tracks from the label's increasingly impressive roster. 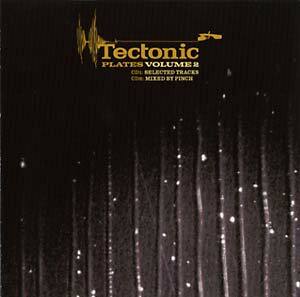 Tectonic's reputation as a pioneering force in the development of dubstep is no more apparent than here, spanning two discs of killer drops and massive productions from the likes of Benga, Skream, Loefah, Digital Mystikz, Distance, Flying Lotus, 2562, Martyn, RSD, Peverelist, Joker, and much more. All of the previously-released tracks found in the mix are by now long sold-out, and are made available here on CD for the first time. 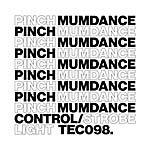 Tectonic was started in 2004 by Pinch and is now widely considered to be one of the most renowned dubstep labels on the planet, right up there amongst Tempa, Hyperdub and DMZ. Maintaining from the outset a firm intent to push sound forward, the label's ongoing and rapid development has brought the styles of dubstep and dub-tech to global audiences with an authenticity that leaves many of its imitators lagging way behind. Recent incredible vinyl productions such as RSD's "Forward Youth," Pinch's "Joyride" rydim, and Skream's "Percression" are all thankfully included here -- not to mention the vinyl-only 2562 bonus killer "Greyscale," from 2008's massive Aerial (TEC 004CD/TEC 021LP) long-player, and for good measure, there's also a mighty Shed remix of Peverelist's "Junktion." Other artists include: Moving Ninja, 2nd II None, Mala & Sgt. Pokes, 30Hz, Clue Kid, Jack Sparrow & Biggins, Deleted Scenes, Cyrus, Omen, MRK1, Yolanda, Skinz & I.D., and Ginz.